In 1997, Barry and his wife Shahnaz, came to own Snoqualmie Ice Cream, which fulfilled their dream of working together and owning a business doing what they love. They worked to create the world’s smoothest, richest and most perfect ice cream, right out of Maltby, Washington. Barry has always had a passion for taking care of the environment and making the highest quality products. From watching his father successfully run a sustainable farm nearly 50 years ago, to running a large dairy plant in New York, he has developed a strong understanding of the importance in protecting the environment and using only the best ingredients. We set the standard for how real ice cream should taste and that's what makes us different. 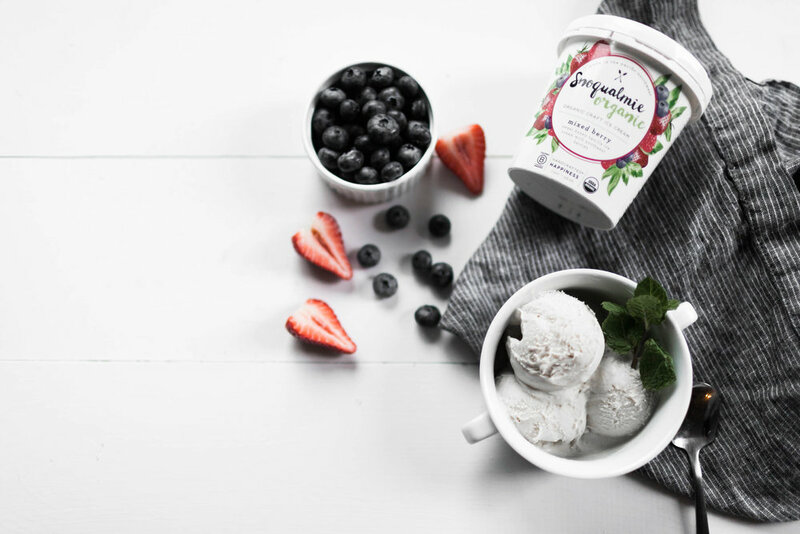 Snoqualmie Ice Cream is a family-owned company that makes both super-premium organic and all-natural craft ice cream in Snohomish, Washington. Our organic ice creams are French-style frozen custards with extra cream, lots of eggs and very little air, creating the most rich and velvety treat. We use simple ingredients from the Pacific Northwest, including USDA Organic-certified, grass-fed milk and cream, eggs and berries. We make our ice cream in small batches with more cream and less air to make the most premium ice cream. Everything we make is vat-pasteurized to slow cook the ingredients without scorching the cream and allowing each flavor to have its own unique recipe. We believe in the power of sustainability. We've purposely designed our property with rain gardens, bio-swales and pervious concrete to completely eliminate runoff. Our solar panels, compressor waste heat recovery, LED sensor lighting and energy efficient equipment has allowed us to significantly reduce our energy usage. We are a certified B-Corporation because we are committed to taking care of our employees, exceeding customer expectations, supporting our community and protecting our environment. We promise to make the most perfect organic ice cream and hope to help make the world a better place by staying true to our values and using our profits for the greater good. Snoqualmie Ice Cream is in business to create the very best, all-natural and organic ice cream, custard, gelato and sorbet. Everything we make is as perfect as possible, while taking care of our customers, employees, community, and environment.